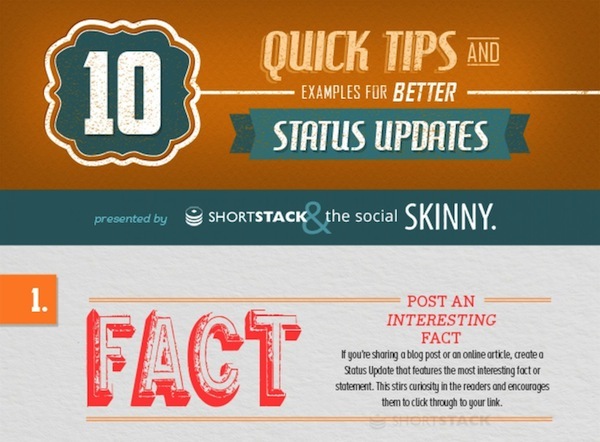 This infographic created by Short Stack and Skinny shows ways to make updates better and more interesting. Some tips like posting a fun fact will definitely keep readers interested, while others, like not always ending a status update with a question serves to remind us not to make our page too gimmicky. Check out some highlights at the link or view the infographic in its entirety here.